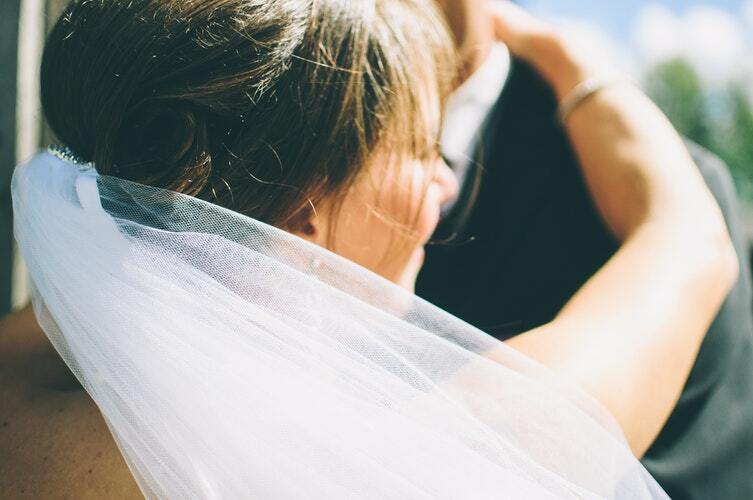 Wedding veils… we know them as that pretty accessory you’d only wear on your wedding day. 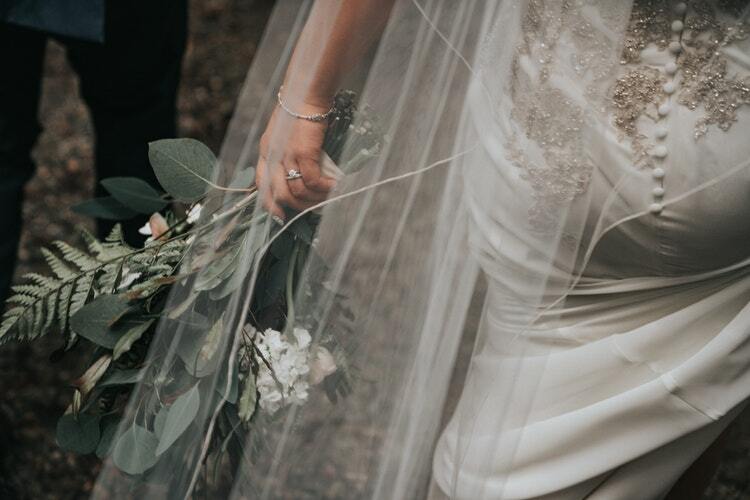 Did you know that brides originally started wearing them because wedding folklore told us that a veil would protect the bride from evil spirits? Well, a veil was also considered good luck, especially if it caught fire on the altar. Well, these days a veil is just a beautiful accessory which completes the bridal look. That said, there is a lot we can learn about the different veil styles, lengths and types! Where to purchase wedding veils in Ireland: Click here to view our top picks! 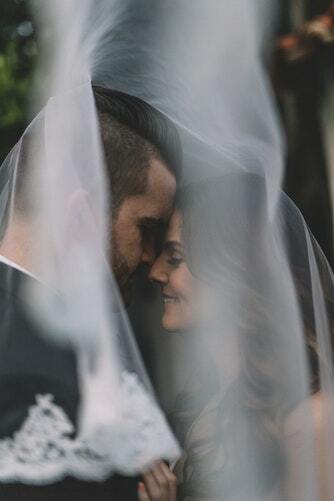 Experts recommend selecting a veil that does not compete with your dress. So, if you’ve opted for an elaborate gown, then pair it with a simple veil. Likewise, a decorative veil is the perfect finishing touch to a simple dress. If the dress and veil are too busy, it’ll detract from the main star of the show: you! Blusher Veil: this is a short single layer which is worn over the face and sits below the chin. It often helps soften sharp features. Fly-Away Veil: a multi-layered headpiece which barely brushes the shoulder. This is considered a casual veil and we recommend that brides pair this with a casual gown. 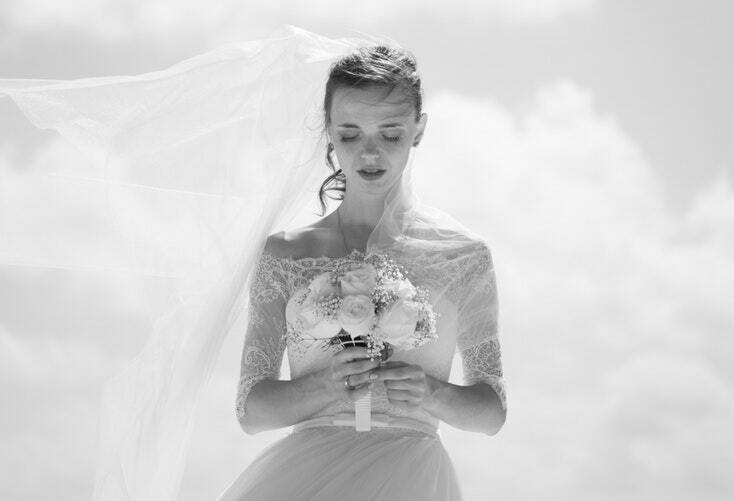 Elbow-length Veil: as the name suggests, it sits at the elbow and doesn’t overpower the dress. Petite brides under 5’4 will look great with this length! Fingertip Veil: it reaches to the fingertips when your arms are hanging naturally. 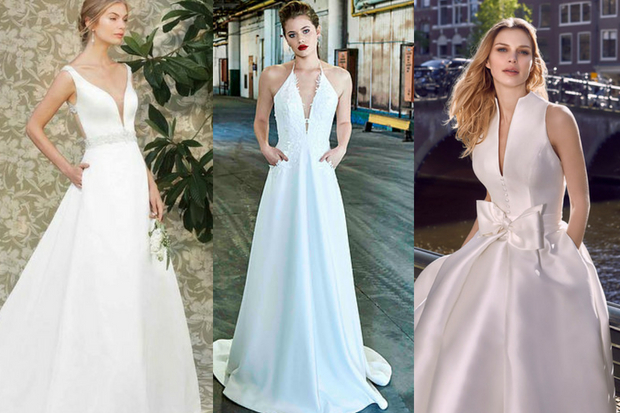 It compliments most wedding dresses and brides over 5’7 will look awesome in one. Chapel-length Veil: it extends to the floor, roughly 2 and a half yards from the headpiece. It flows over the train and is quite formal. Cathedral Veil: this is the most formal of the veils and should be worn with the cathedral train. It flows 3 and a half yards from the headpiece and you should remove it before the reception. Round Face: a veil which falls along the side of your face will help narrow it. Never wear a hair band-style headpiece as this will accentuate a wide face or forehead. Square Face: a longer veil teamed with face-framing tendrils of hair help relax a strong jaw. Oblong Face: a waterfall veil and a wide tiara help add width to a longer face. Stay away from piled up hair and opt for a comb-style headpiece. Heart shaped face: most veils are too full for you; choose a backpiece where the veil shows up behind the neckline and adds width at the jaw. Oval: you’re the luckiest of the bunch as any type of veil will compliment your face! Your hairstyle makes a difference to the look of your wedding veil. Choose how your hair will look on your Big Day and try on veils with your hair in a similar style. Consider your wedding location. A long veil isn’t practical for a beach wedding. If the colour of your veil and dress is not the same, that’s alright. Just ensure that the veil is a shade lighter rather than a shade darker than your dress.